Growing Sweet Potatoes is fun and quite productive for the amount of labor spent. They grow well even in Hot dry weather. In most areas, bundles of slips, young starter plants, are inexpensive. But it is also fun to grow slips yourself. Bury some sweet potatoes in a moist starting soil where they can stay warm, and place in a sunny window in January or February. Keep the soil moist and shoots will start coming up. 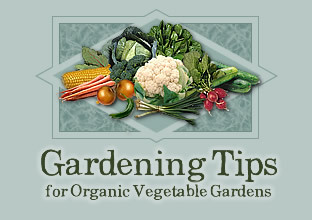 When the shoots are 4-6 inches long, break them off and bury most of the stem in potting soil. These will root and continue to grow. When these plants turn into longer vines, the tips can be broken off to start more. When the soil warms up, get your garden ready. Sweet potatoes are grown in long ridges, taller ridges make harvesting easier. They donít need great soil. Avoid very rich soil, or your will get lots of vines and no potatoes. Ridges can be 3" apart with 12" spacing of plants or 6" apart with 6" plant spacing. I rototill the area as deep as I can, shovel dirt off paths into ridges, then till the paths again. It helps to water the young plants in, but don't worry if they wilt for a short time after transplanting. Control weeds and conserve soil moisture during the long growing season by mulching. While the plants are still small, cover the whole area with 6" more of hay. Soon you will be unable to see the mulch for the luxurious vines. Use the young leaves like spinach; they are very nutritious and mild tasting. Insect pests are a little problem, but deer can devastate the crop. An electric fence or a deer repellent such as hinder can help. If all else fails, tie a dog in the garden at night. When the first frost threatens, dig the sweet potatoes carefully with a spade or fork and hands. Some sweet potatoes will grow in unexpected places where the vines sent down new roots. Cure the potatoes in a warm, dry place for 5 days to prepare for winter storage, or can them. Break off all little roots and fragile ends. The sweet potato, still a live plant, will heal over all the small wounds. Store indoors in a cool dry place to enjoy until spring.